In its third year of operation, the State College Area School District Education Foundation began to hit its fundraising stride. The foundation brought in $167,810 in revenue for 2017-18, according to preliminary results for the fiscal year shared with the school board this week. That far exceeded revenue of $3,852 from 2015-16, when the foundation was first established, and $39,501 in 2016-17. "We were very excited by that," Doug Loviscky, president of the foundation's board said. "We were all shooting for $120,000 as our target. We’re really happy to report where we’re at." While the foundation is operated by a separate board, State College Area School District has agreed to contribute up to $120,000 each year to support operational expenses. In 2017-18, district expenses were $90,892, about the same as 2016-17. With those expenses subtracted, net proceeds for the past year would be $76,918. Foundation Executive Director Paul Olivett said the hope was to have revenue equal expenses, a goal the foundation surpassed. Available information was limited, Loviscky said, but based on one study published in 2014, the foundation's fundraising surpassed the average of other educational foundations in Pennsylvania. Revenue also came from the inaugural Maroon & Gray Society banquet, which netted $57,500 after expenses. This year the banquet supported new uniforms for the State High Marching Band while also honoring the society's first class of inductees of outstanding alumni and teachers. Giving from individual donors also factors into the fundraising efforts, such as $19,000 raised for the Student Opportunities Fund to expand co-curricular and extra-curricular opportunities. 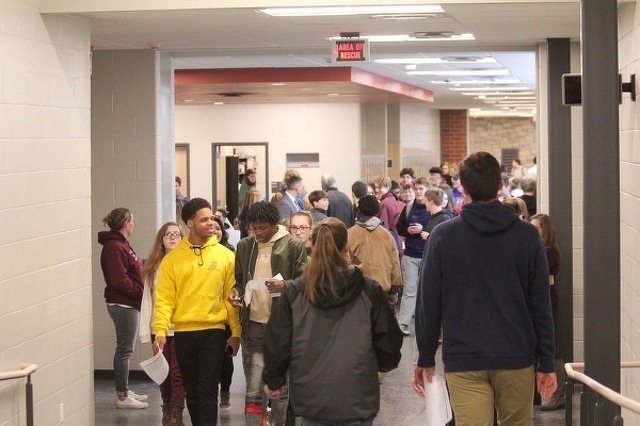 Olivett said that beginning this fall, the Student Opportunities Fund will allow teachers and other staff who oversee student groups to submit ideas for small grants, which will the board will review and select. "They’ll be relatively small grants, $500 or $1,000, and we'll try to fund as many as we can but also keep in mind that we want to keep that fund growing and make sure we have enough through the years to fund programs," Olivett said. School board member Amy Bader said she would like to see some of that grant money be available for students who do not have financial means when trips and other activities come up. Randy Brown, district finance and business officer, said SCASD has two separate funds, administered through Centre Foundation, to address those situation, but Loviscky said SCASD Education Foundation can look at how it also can support those needs. The foundation disbursed $85,000 to the district in 2017-18, including $60,000 in EITC funds, $8,000 for various programs through the Student Activities Fund, $5,000 for State High cheer uniforms, $5,000 for the Bill Cahir Memorial Scholarship Fund for Journalism, and $7,000 for other programs. Expenses for 2017-18 included Olivett's $48,000 salary, $20,919 paid to Affinity Connection for marketing services, $14,464 for printing and postage, and $3,000 to Baker Tilly for accounting. For 2018-19, the foundation is aiming to raise $200,000 in recurring revenues, as well as additional funds in naming opportunities for components of the Memorial Field renovations, where it also is raising money for improvements by accepting donations in exchange for personalized bricks on the walkway along Fraser Street. The foundation also is looking at naming opportunities for rooms and areas of the new State High building. In addition to launching the Student Opportunity Fund grants, the foundation is looking to increase EITC donations in 2018-19 by taking advantage of new federal income tax deduction caps for state and local tax deduction. The foundation's board may expand as current members evaluate strengths and areas where it could diversify. The board also expects to recommend renewing Olivett's contract. SCASD and the foundation earlier this year entered memorandum of understanding for the district to provide no more than $120,000 in operational support each of the next three years. As part of the memorandum, the foundation agreed to raise at least $120,000 with the intent that the amount raised will increase each of the next two years and the expectation that revenue would surpass operating costs. Superintendent Bob O'Donnell said at the time that the foundation was created to provide a method of private fundraising, different from having a full-time development officer, that offers flexibility if it doesn't meet expectations. The last time the district had a full-time development officer, in 2010, it spent about $92,000 on staffing, not including other operating costs. Several residents questioned the value of the foundation and whether it was properly managing tax dollars provided by the district. They also questioned whether how it's effectiveness compared to Centre Foundation, which manages a number of endowments supporting district students. School Board President Amber Concepcion said at the time that the district will continue to work with Centre Foundation, but that even if all charitable funds went through Centre Foundation it would not address the need for a dedicated fundraising for the school district. Brown said this week that at the end of 2017, Centre Foundation held endowments benefiting the district totaling $2.67 million, from which $37,000 in administrative fees were paid. As of June 30, $80,000 was paid out from those endowments, with about 60 percent going to student scholarships and 40 percent to district programs. 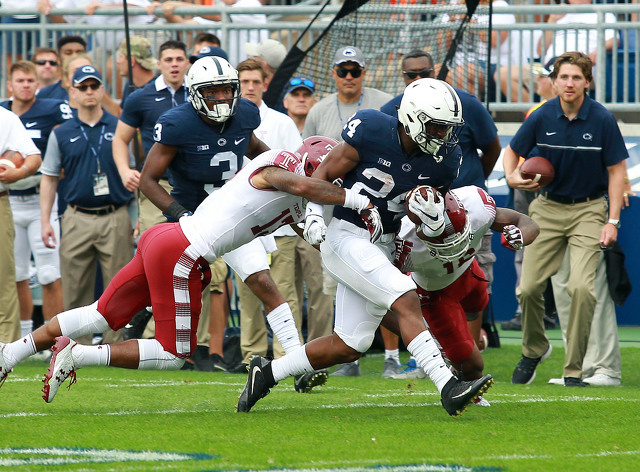 The Pitt-Penn State football rivalry appears it will be shelved for the foreseeable future once the current four-game series ends in 2019, but a series with another in-state foe may be on the horizon.